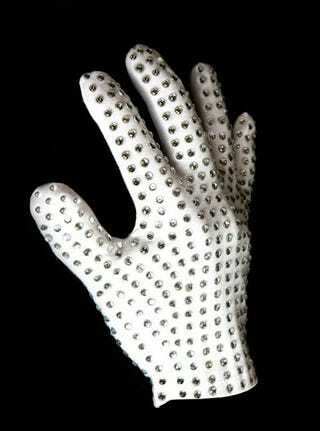 Michael Jackson's white glove, which he first wore when performing the moonwalk for the first time, became a trademark symbol of one of the greatest musicians to have ever lived. And it's now free for purchasers of a Wii game! Ubisoft, the publishers of Michael Jackson The Experience on Wii, will be bundling a replica of the glove with the first shipments of the game as an incentive for early purchasers. On the one hand, we can see the point; it's about as Michael Jackson as you can get without including a chimp and a bottle of Jesus Juice. On the other...there's talk Jackson only wore the glove to cover up the early onset of Vitiligo, a disorder that causes depigmentation of the skin. The deal is only good for the Wii version of the game, which will be out on November 23.